Meeting considerable opposition from coalition allies, voter base, PM Netanyahu announces suspension of outline reached with UN on deportation of African immigrants, says he will reexamine it. Prime Minister Benjamin Netanyahu announced that he is suspending the implementation of the plan reached with the UN High Commissioner for Refugees (UNHCR) on the deportation of African immigrants just hours after announcing it. Israel reached an agreement with the UNHCR to resolve the African migrants crisis, nixing the government’s controversial mass deportation plan and agreeing to grant temporary legal status to protected populations among the asylum seekers, some 18,000 refugees who would’ve remained in the country regardless. “However, I am attentive to you, and first and foremost to the residents of southern Tel Aviv,” Netanyahu reassured. “Therefore, I decided to meet, together with Interior Minister Aryeh Deri, with representatives of the residents of southern Tel Aviv tomorrow (Wednesday) morning. While the UNHCR confirmed an agreement was signed with Israel, it did not name the countries that would accept the migrants, and some of the countries mentioned by Netanyahu deny any such agreement was signed with them. Shortly after Italy’s denial, the PMO issued a statement to Italian news agency ANSA, clarifying that Netanyahu only named Italy as an example of a developed Western country, and did not specifically mean to name it as one of the countries willing to take in the asylum seekers, Italian daily la Repubblica reported. 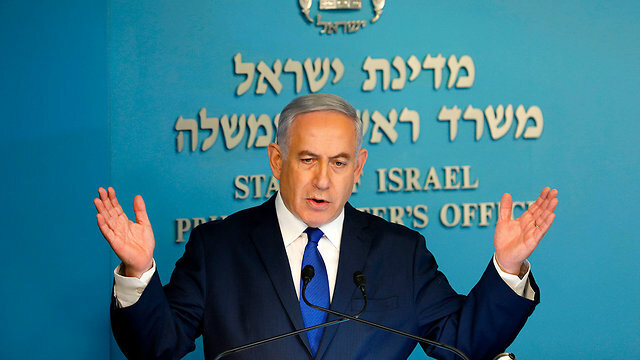 Netanyahu added that the agreement with the UN, as it currently stands, came following strenuous political efforts on their part, noting that at first the UN wanted Israel to keep four asylum seekers as temporary residents for every one deported. “We did not agree to this, and in the end reached an agreement whereby for each one that leaves, one will remain,” he said. Later that evening, Netanyahu published a video on Facebook in which he gave further details on the outline. 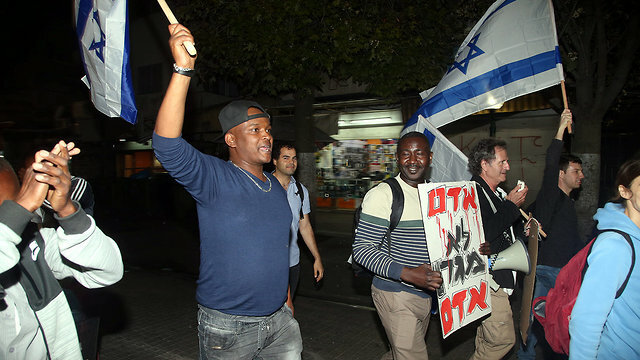 The fate of some 37,000 Africans in Israel has posed a moral dilemma for a state founded as a haven for Jews from persecution and a national home. The right-wing government has been under pressure from its nationalist voter base to expel the migrants. But the planned mass deportation led to legal challenges in Israel, drew criticism from the United Nations and rights groups and triggered an emotional public debate among Israelis. While receiving the support of more left-leaning organizations and lawmakers, many nationalists and conservatives, including some from Netanyahu’s own Likud party, expressed strong objection to the agreement, claiming it will encourage illegal immigration which would further exasperate the crisis. Even Culture and Sports Minister Miri Regev—a strong proponent and close ally of Netanyahu—criticized the agreement. “The decision that was announced today is dramatic and I am definitely concerned about the quick concession of the basic principles of the government’s immigration policy,” she said. “As far as we know, these are not refugees, but people who have infiltrated (the country) illegally, so the discussions with the UN High Commissioner for Refugees, in my view, are out of place.